From one of our foremost thinkers and public intellectuals, a radical new view of the nature of time and the cosmos What is time? This deceptively simple question is the single most important problem facing science as we probe more deeply into the fundamentals of the universe. All of the mysteries physicists and cosmologists facefrom the Big Bang to the future of the universe, from the puzzles of quantum physics to the unification of forces and particlescome down to the nature of time. The fact that time is real may seem obvious. You experience it passing every day when you watch clocks tick, bread toast, and children grow. But most physicists, from Newton to Einstein to today's quantum theorists, have seen things differently. The scientific case for time being an illusion is formidable. That is why the consequences of adopting the view that time is real are revolutionary. Lee Smolin, author of the controversial bestseller The Trouble with Physics , argues that a limited notion of time is holding physics back. It's time for a major revolution in scientific thought. The reality of time could be the key to the next big breakthrough in theoretical physics. What if the laws of physics themselves were not timeless? What if they could evolve? 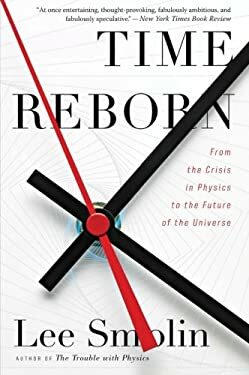 Time Reborn offers a radical new approach to cosmology that embraces the reality of time and opens up a whole new universe of possibilities. There are few ideas that, like our notion of time, shape our thinking about literally everything, with huge implications for physics and beyondfrom climate change to the economic crisis. Smolin explains in lively and lucid prose how the true nature of time impacts our world.